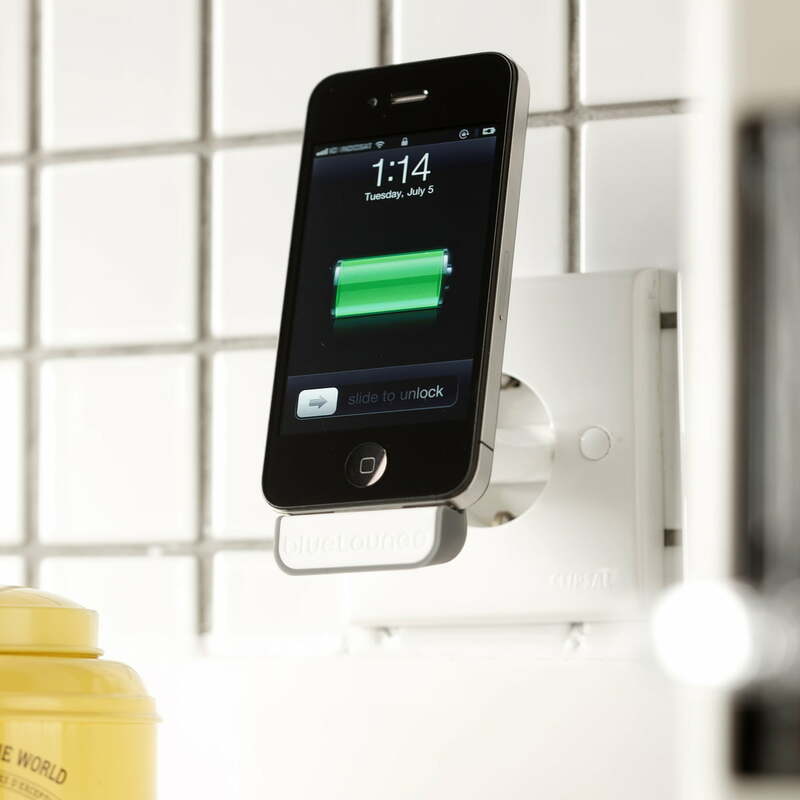 Mini Dock is a practical docking station for the iPod and iPhone. 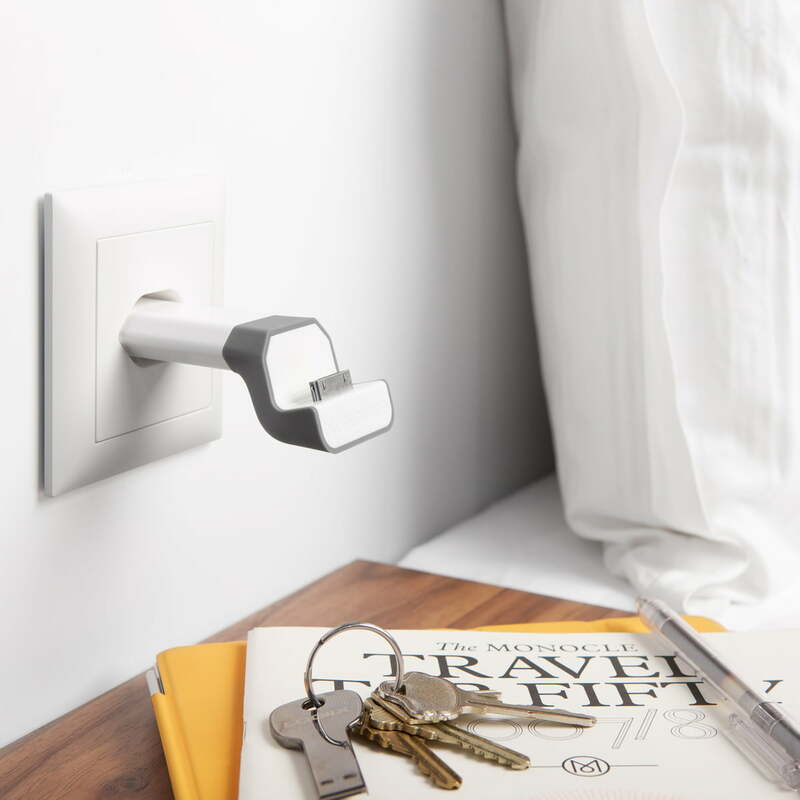 The small charging station by Bluelounge makes cables unnecessary and can be connected with an adaptor (not included in delivery) directly onto the socket. 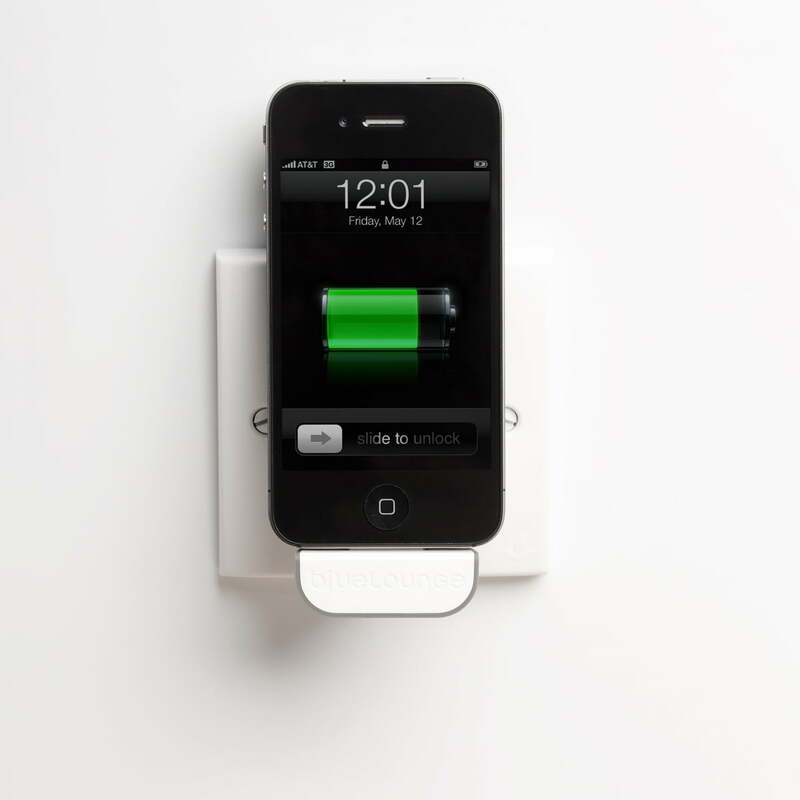 The iPod or iPhone can then be put on the Mini Dock and charged. 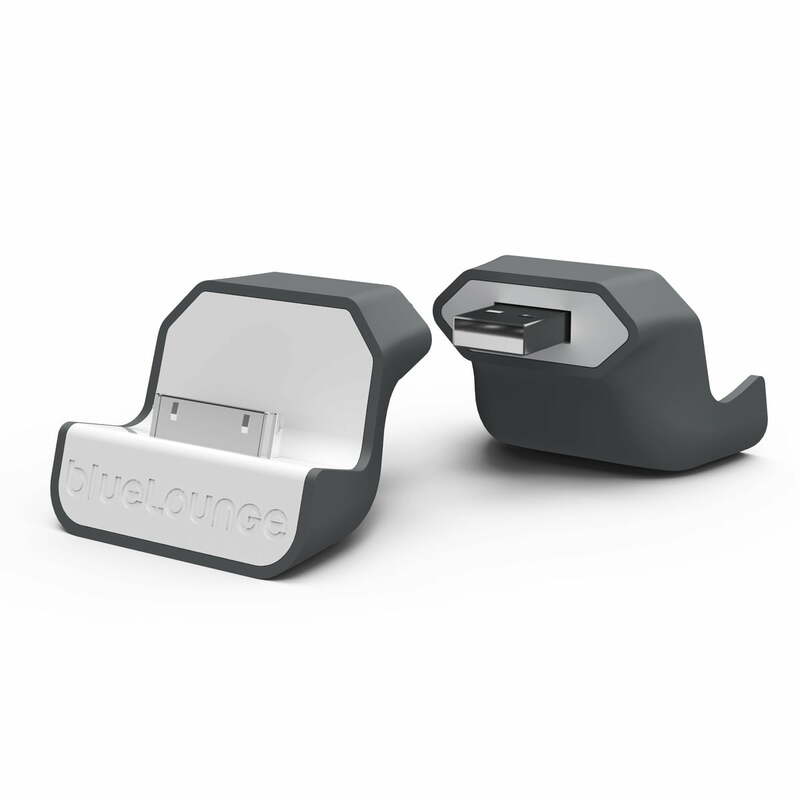 The Bluelounge Mini Dock has a connection to charge and store iPods and iPhones (from 1 to 4) with a 30 pin socket as well as a USB cable at the back. 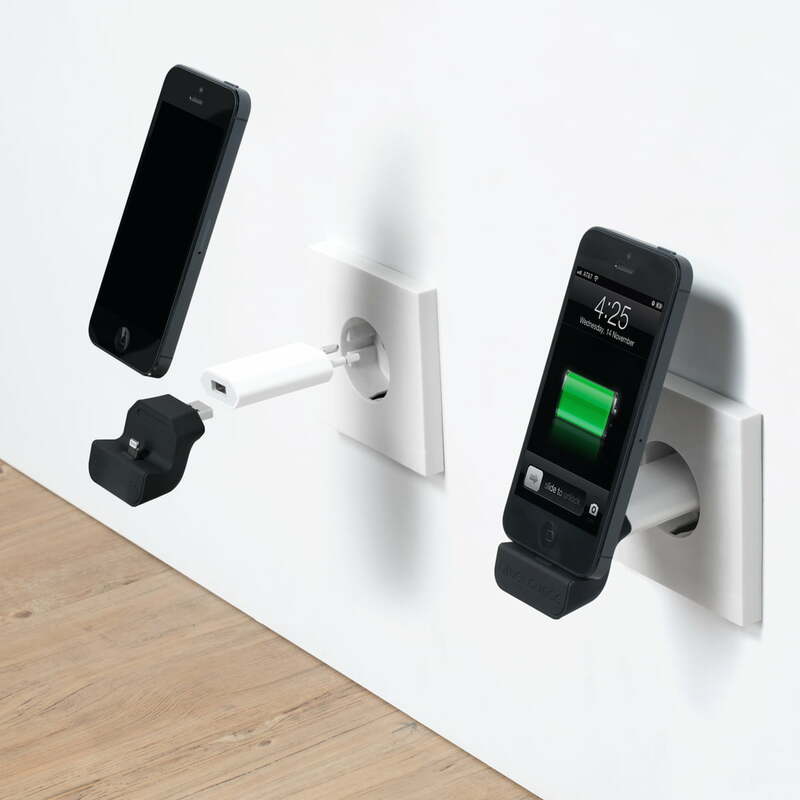 This only has to be connected to an adapter and Mini Dock finds its place on any socket. 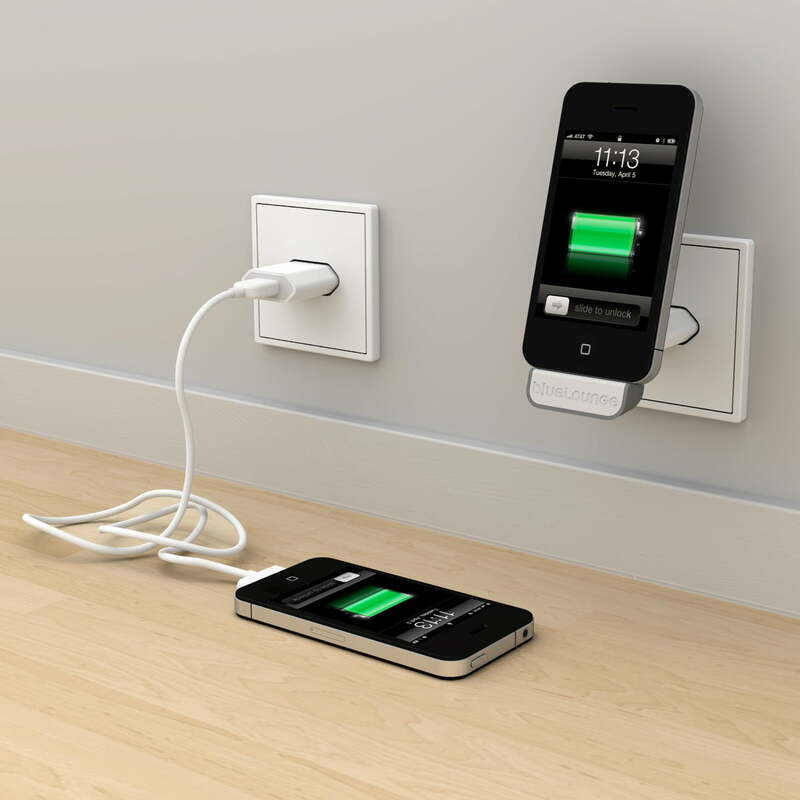 Devices can be charged everywhere without cables. 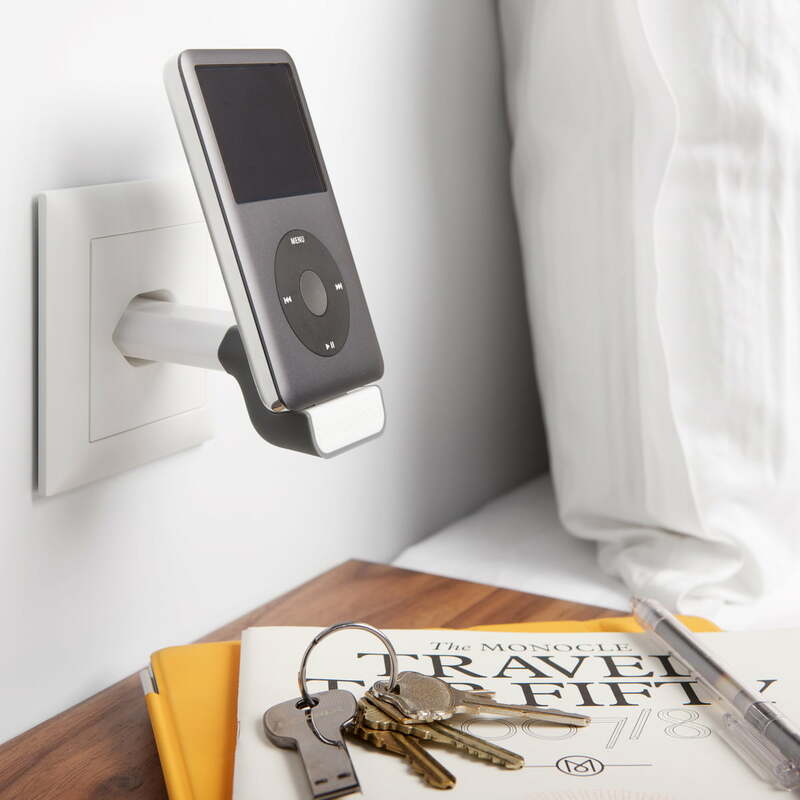 At the same time the devices don’t lie on top of things and tables but are neatly placed on the wall when they are charging. 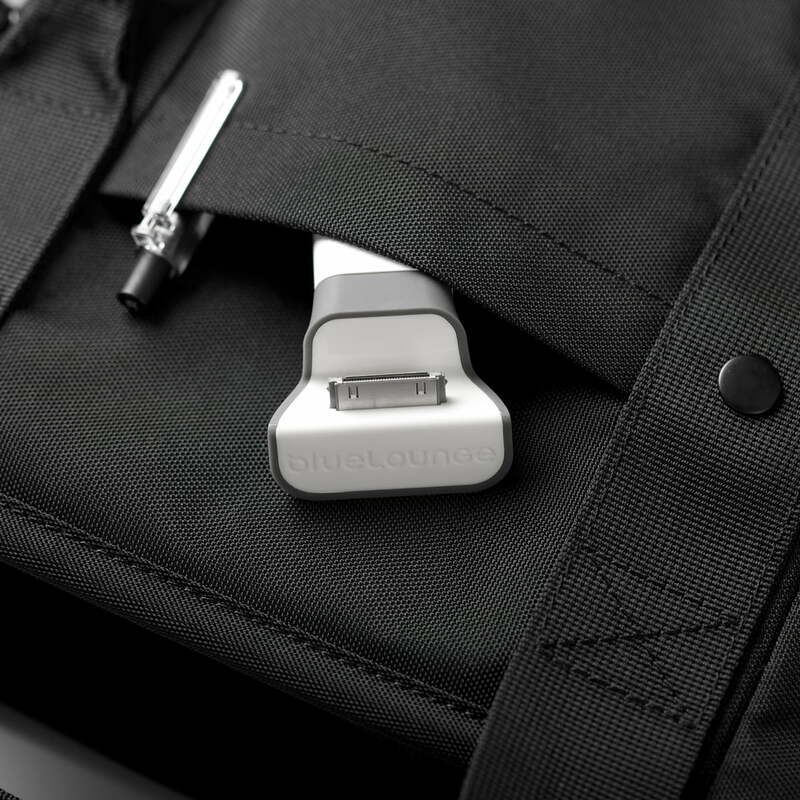 Mini Dock is the ideal travel companion and fits into every bag because of its small size and light weight. 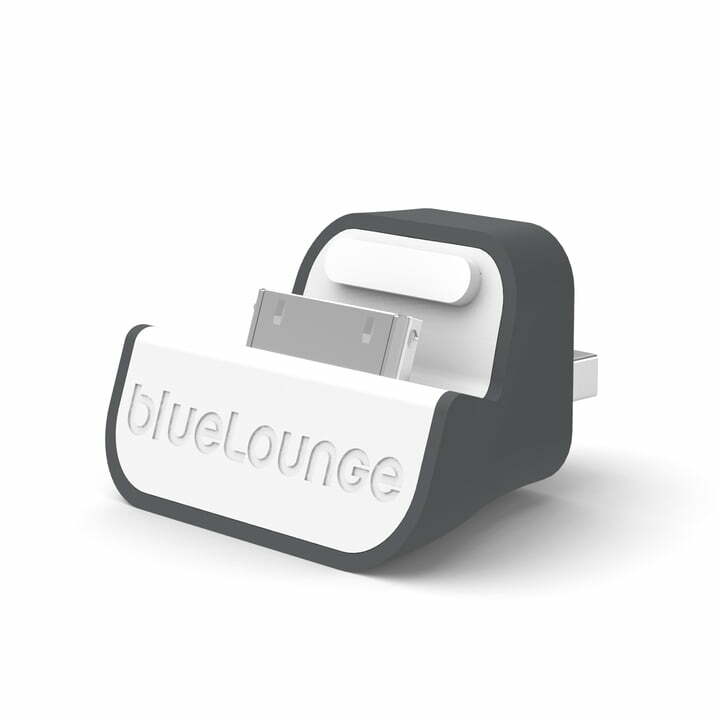 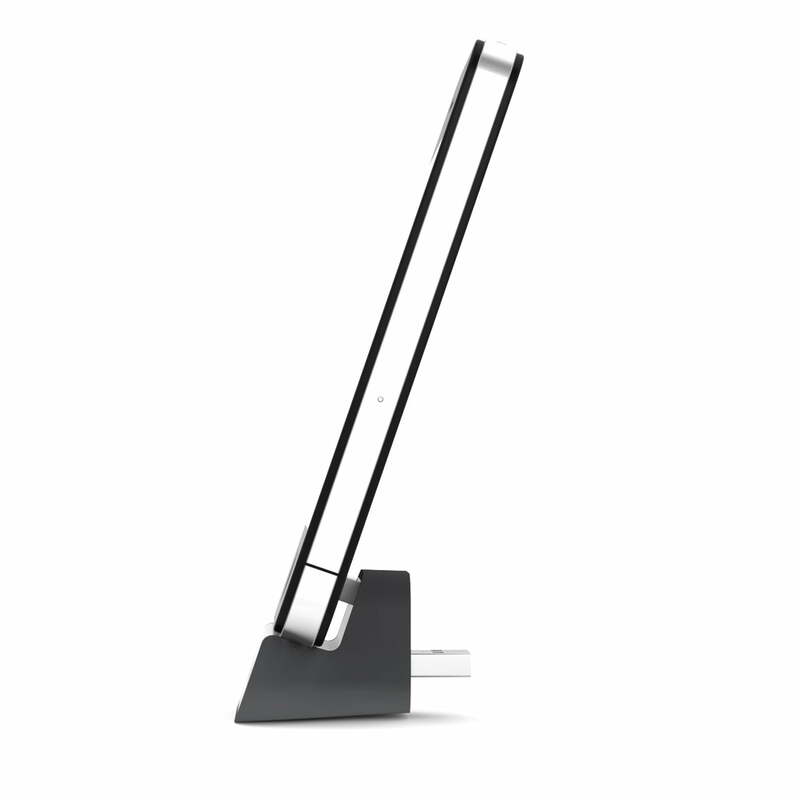 Bluelounge also offers the Mini Dock in special UK and US editions. 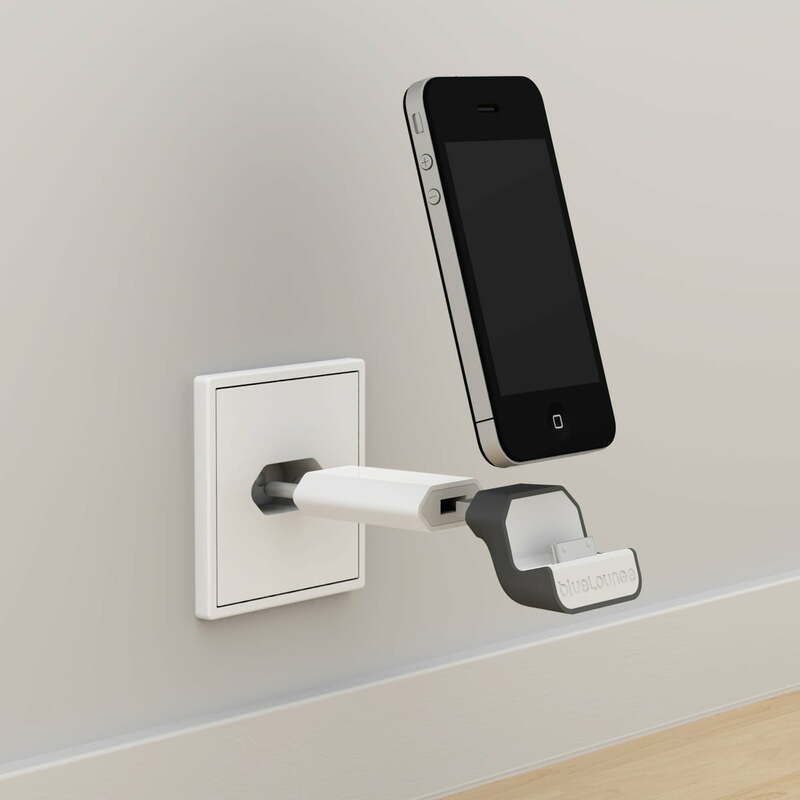 Details Docking station for iPod and iPhone (from 1 to 4) with 30 pin socket, power plug not included in delivery!